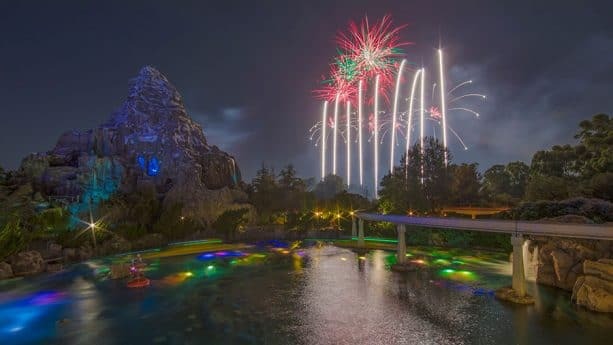 In tonight’s Disney Parks After Dark post, “Together Forever Fireworks – A Pixar Nighttime Spectacular” lights up the sky over the lagoon in Tomorrowland at Disneyland park. 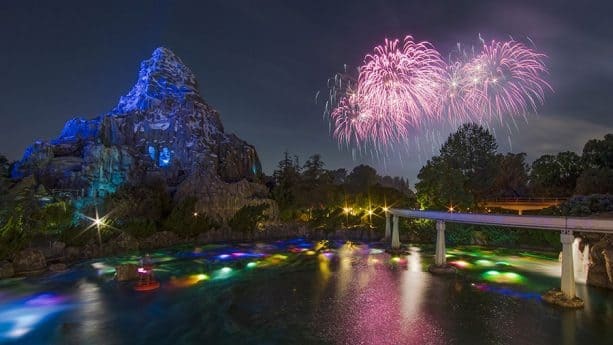 Prime viewing locations for the fireworks spectacular can be found along Main Street, U.S.A., around the Rivers of America and “it’s a small world.” Each site marries the fireworks and epic soundtrack to projections, lasers, and other show effects. 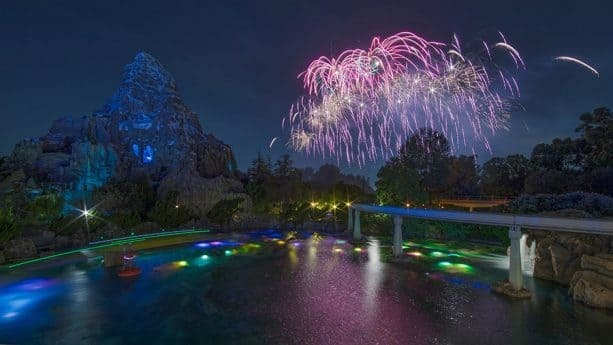 But one of the many things I love about Disneyland park’s fireworks show is that you can find breathtaking vantage points all over the resort. This is a series of relatively long exposures (15-seconds each). My settings were f/16 at ISO 100 – I left white balance set to automatic. 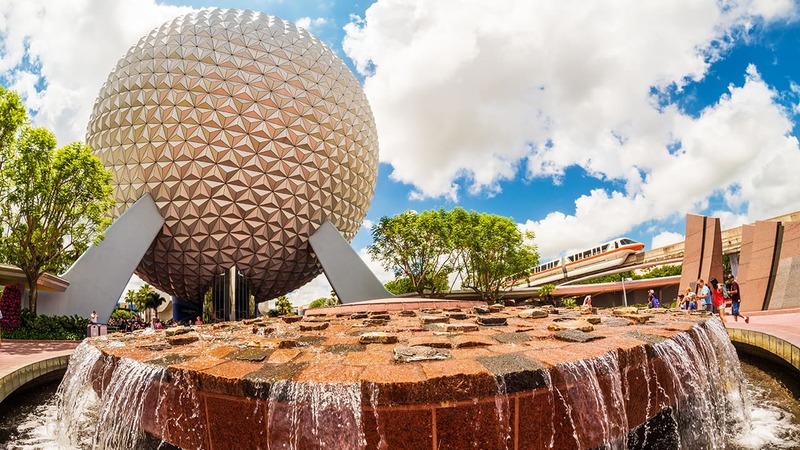 I selected a 14mm lens for this shoot and used Matterhorn mountain as my focus point. The shutter was fired manually using a cable release. Long exposure photography does lovely things to moving water. I think the lagoon, with its colorful bottom-up-lighting, looks just a little more whimsical at 15 seconds. 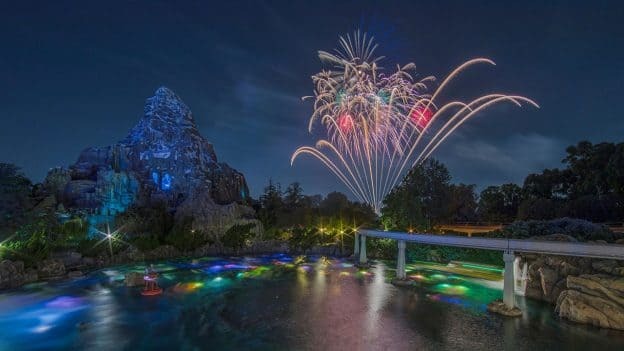 Couple the water with the park’s signature pyrotechnics from above and I feel like there’s a recipe for some really special photography. 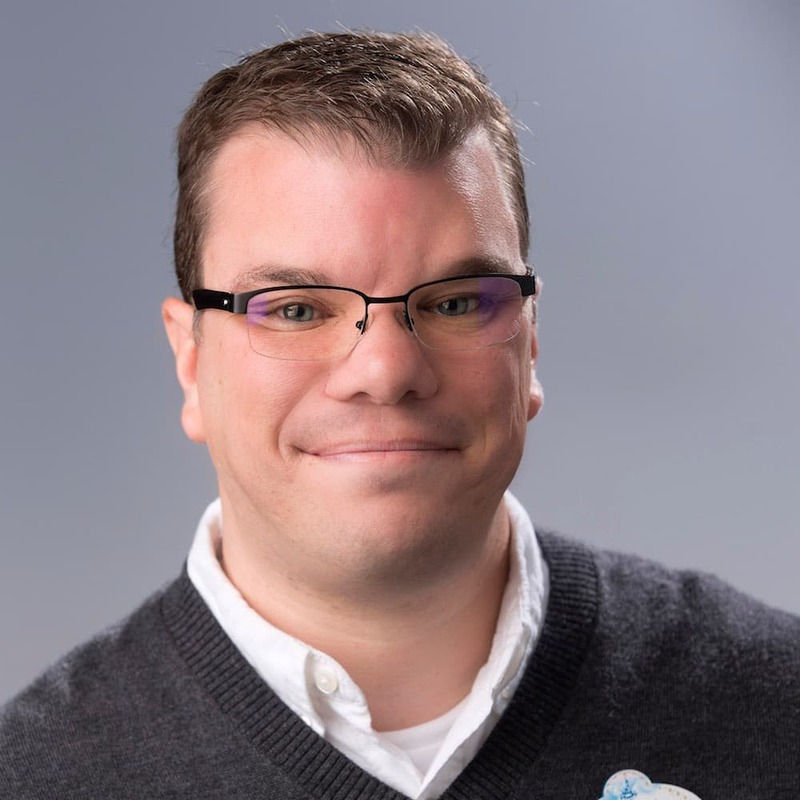 “Together Forever – A Pixar Nighttime Spectacular” is part of the Pixar Fest celebration at Disneyland Resort. Hurry! There’s still time to experience this incredible celebration of friendship and beyond. Pixar Fest runs through September 3.